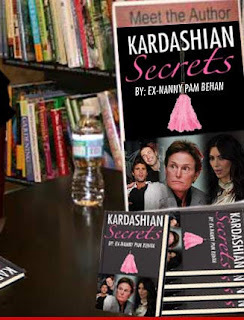 Kardashian Ex-Nanny Shops Tell-All Book! According to TMZ, a former nanny of the Kardashian fam is shopping a tell-all book about her time with the clan before they were famous. Pam Behan served as a nanny, personal assistant and cook for Bruce and Kris Jenner for years, spending time with the Kardashian sisters, as well as the Jenner boys, Brody and Brandon. Apparently in the book, Pam makes it clear that she couldn't STAND Bruce's sons calling them"extremely spoiled and disrespectful." Pam also claims she almost lost her job after slapping Brandon one day! Her relationship with Kris was a little shaky, but she didn't seem to have any big issues with Bruce, claiming he helped her avoid prosecution when she was busted for DUI a while back. The ex-nanny also promises to reveal some "intimate details" about Kourtney and Kim in her tell-all as well. Sources said that the book has been pitched to several major literary agents, but a deal has yet to be determined. Everybody's trying to cash in nowadays. Just a few weeks ago, Kris Humphries' dad William threatened to pen his own tell-all about Kim. Money grubbers! Guarantee though that if the book comes out, that nanny might make a whole lot of money. That is, if super momager Kris doesn't sue or give her hush money first! Don't believe it ladies and gents! A supposedly leaked cover of PEOPLE made a huge splash over the weekend. The cover featured Twilight's own Taylor Lautner and his "coming out story" is a fake, according to NY Daily News. The cover is "absolutely fake," a rep for the magazine said. On the Photoshopped cover, Taylor is quoted as saying that he's "more liberated, and happier than I've ever been" after finally "announcing" his homosexuality. "Tired of rumors, the 'Twilight' star opens up about his decision to finally come out," the cover claims. Check out the phony cover below! I have been away for so so so so long! Took some time for finals and to spend time with the fam for the holidays, but I'm back! It's the last week of 2011 so I have to get back on track! 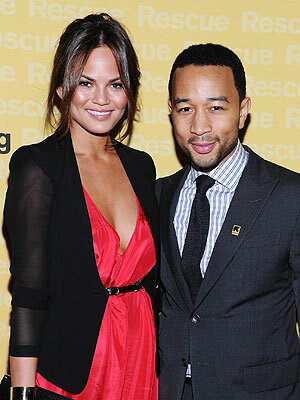 First news of the morning: John Legend is engaged!!! According to PEOPLE, John's rep reported to the mag that he and his model girlfriend Chrissy Teigen, were engaged in the holidays while on vacation in the Maldives. There weren't any more details, but it's sure an exciting time! Any engagement is wonderful, but an engagement over the holidays is extra special! Wishing John and Chrissy the best! Congrats! So it's finals time at Loyola University Maryland, and at most colleges across the nation. This week was definitely hell week, which is why you don't see as many posts on the blog. I had to feature this video because this is what I want to do sometimes at the library, since people act like it's the new hangout on campus. At least mine anyway. I'm glad I'm not alone....Watch this girl snap on loud, obnoxious talkers in the library below! Nicki Minaj Getting Her Own Barbie!